The building is 89 metres long by 77 metres wide and approximately 29 metres high. The acoustic building is a large temporary shed constructed over the tunnel boring machine launch boxes. The building will reduce noise, dust and light impacts on the local community. The acoustic cladding is a 2kg Wave bar designed to reduce noise escaping within the community and the cladding is Trimdeck Plantation Green, utilising 8,000m2 of wall cladding and 5,000m2 roof on the acoustic shed alone. 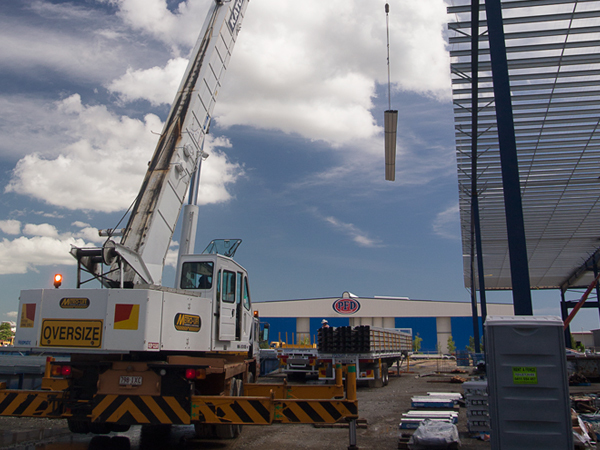 Founded in 1989, Northside Roofing, South-East Queensland’s largest steel roofing company, continue to deliver top quality service, supplying and fitting more than 50,000 square metres of commercial and residential steel roofing a month.